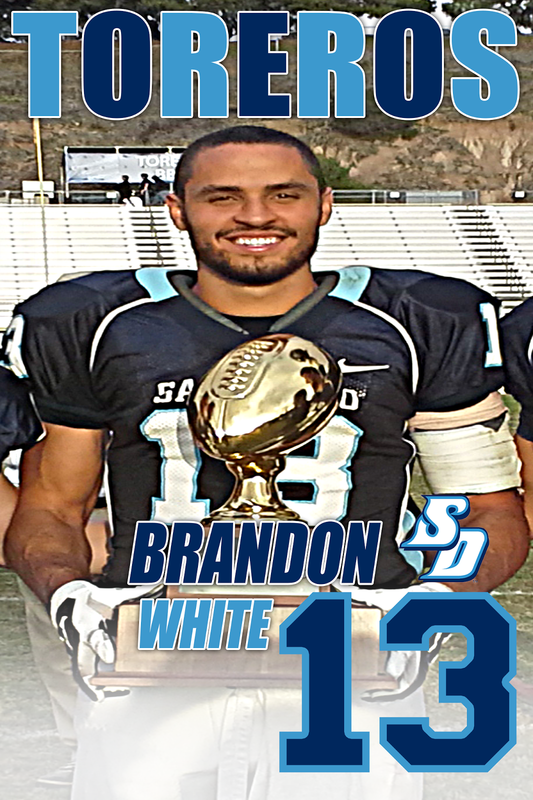 As a four-year starter at USD, White caught 192 passes for 2,493 yards and 31 touchdowns in 43 games played. Known for making spectacular catches, his most memorable grab happened to be the final touchdown of his collegiate career. Trailing Valparaiso 27-26 with four seconds left to play, White caught a 44-yard Hail Mary pass as time expired. The 32-27 victory guaranteed the Toreros their third Pioneer Football League title in four years, and first FCS Playoff berth in school history.